The first document the existence of Campiglia is 973 a.d.  even today the country preserves the urban setting received before the year 1000 and therefore has great historical value–documentary. It still preserves the South Gate of the ancient city walls. 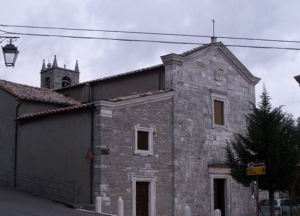 The parish church of the village is dedicated to Saint Blaise. The Church has a complex history and has undergone various interventions: the current structure dates back to the 18th century and the architect Leonardo De Vegni. Inside you can admire the work of Sebastiano Folli (1569–1621) of the Madonna standing with baby Jesus handing keys to St. Peter. Located on the edge of the rocky outcrop overlooking the town of Campiglia d’Orcia; today is in ruins and can only be reached on foot by following the signs from the village. The ruins of the upper Square Tower is the only evidence of the fortress, mentioned in the documents from the 973. The ancient fortress overlooking the village and the castle of Campiglia, belonged until the end of the 10th century to the counts Aldobrandeschi and became part of the domain of the powerful Visconti family in the 12th century.